My Integrating Technology class created WebQuests to place on our future classroom Weebly. 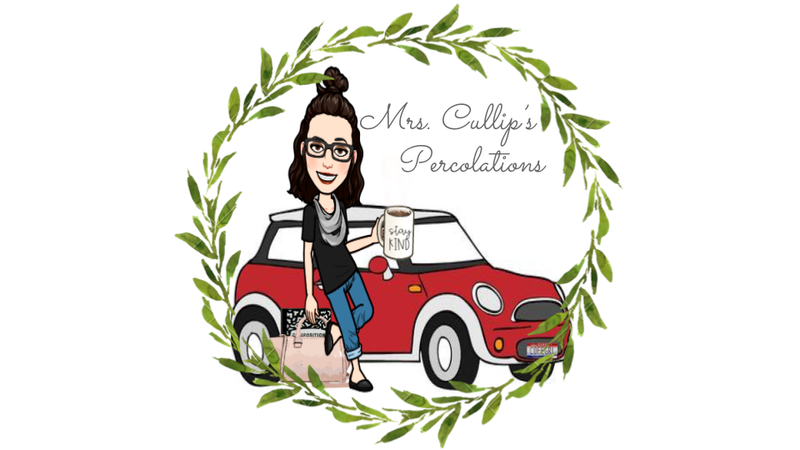 I just love the idea of WebQuests to give students an inquiry based learning structure. As a future middle school ELA teacher, I wanted mine to include both reading and writing elements. 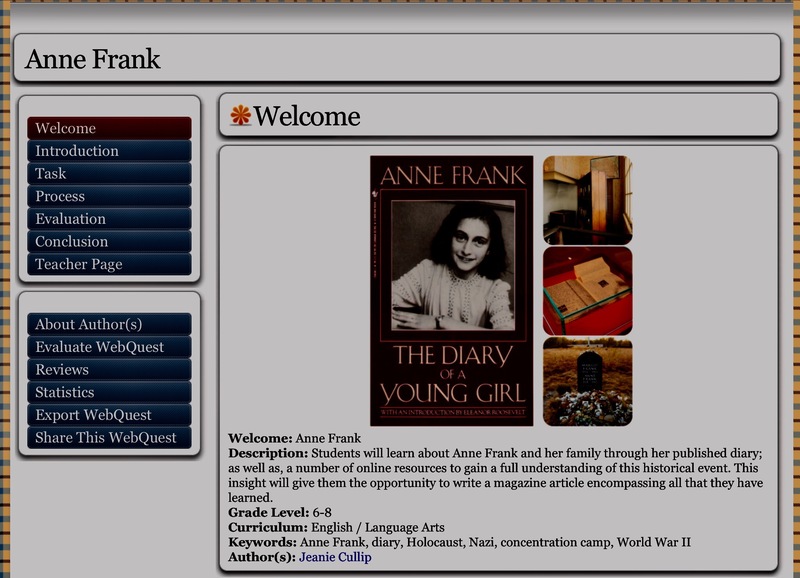 Since we needed to include a Virtual Field Trip within our WebQuest, I chose to complete a WebQuest on Anne Frank. Students will learn about Anne Frank and her family through her published diary; as well as, a number of online resources to gain a full understanding of this historical event. This insight will give them the opportunity to write a magazine article encompassing all that they have learned. Have you created a WebQuest? Please share in the comments below..